Bank of Israel head makes controversial statements about hareidi, Arab families in a farewell address. 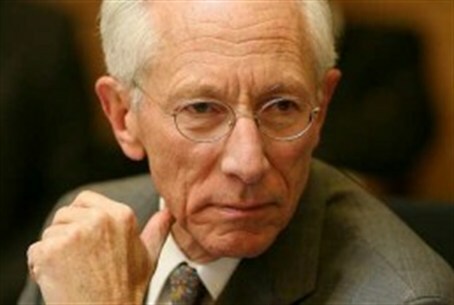 Bank of Israel head Stanley Fischer made controversial comments about hareidi-religious Jews during a farewell address at the International Disciplinary Center in Herzliya. Hareidi and Arab lifestyles play a large part, he noted, citing low participation in the workforce as an example. However, he said, the state of Israel cannot use that as an excuse, but rather, must encourage adults in those sectors to join the workforce. If the trends continue, he warned, secular Israelis will be in the minority within 50 years. Polls show that only 20% of Israelis self-define as secular. Fischer was apparently referring to all Israelis who are not religious Muslims or orthodox Jews as secular. He has expressed support for new initiatives to encourage hareidi-religious and Arab integration in the workforce, but has warned that integration must be done with caution. Fischer has been named one of the world’s top bankers. He has been credited with steering Israel toward an economic “miracle” of relative prosperity despite the global downturn.